Tea connoisseurs and dessert lovers, here’s how you can indulge in both without stressing about calories. We found these luxuriously packaged teas from The Hillcart Tales that offer 32 variants across Black, Green and Tisanes which includes Dessert Teas as well as hot and cold brews! It takes dedication and expertise to blend rare teas of top-notch quality and Hillcart Tales have been pretty much slaying it. 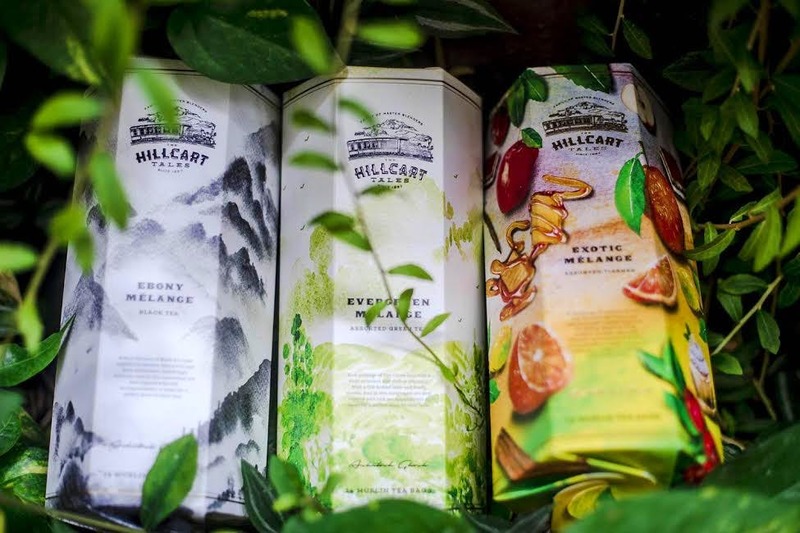 Hillcart Tales is a new brand in the market and has 32 variants in teas viz Black, Green & Exotics and everything from the taste to packaging is luxurious. What makes them awesome is that they keep experimenting with different flavours and have a legacy of 120 years of blending of teas. One of the recently launched product is the Dessert teas and hot and cold teas (for the summers) and it’s taking the world by storm for its fruity flavour options and health benefits. For starters, we were totally in love with Blood Orange and Strawberry Lime tisanes that are sweet, light and can be consumed both hot and chilled. But, the Apple Strudel, Lemon Cake & Tiramisu Delight stole the show with its intense real flavours and the oh-so-delightful aromas. These blends are totally caffeine and calorie free, so you can indulge in them as often as you want without any guilt. They come in small muslin bags with an adorable packaging and a happy quote making your tea drinking experience even more better. If you are looking to gift something to a tea connoisseur then ditch the cutlery and tea sets & straight up opt for these teas that double up as perfect gifts. Thought the dessert teas are show stoppers, one should definitely try their black tea and green teas are loved by all for its authenticity and beautiful flavours. You can visit their website, pick what you love and order online as they are shipping it for free! Or walk into any Modern Bazaar, Le Marche & Needs Stores in Delhi. To know more, follow them on Facebook & Instagram.